We understand that the National Joint Council (NJC) has finally come to an agreement to progress a pay award of 2% for Grey Book staff, backdated to 01 July 2018. You will recall from our previous communication regarding this issue that this mirrors what happened last year and continues to demonstrate that the current negotiation machinery is out-of-date and needs reform to include other stakeholders and provide better workforce representation. 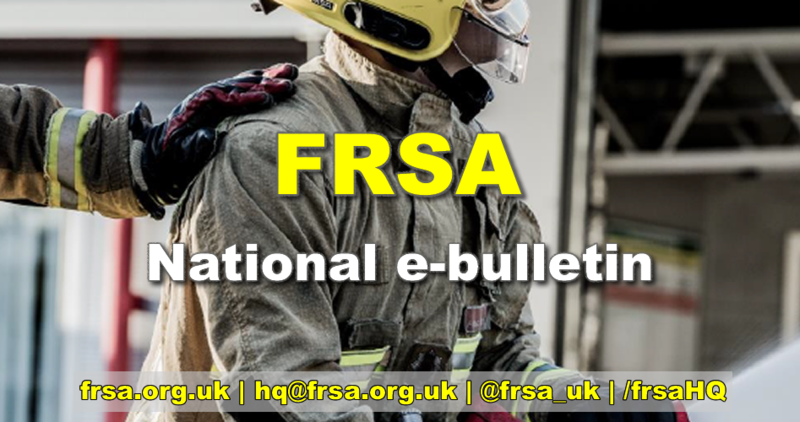 There is still no notable progress regarding the broadening of the role or pay reform both of which are needed to ensure the fire and rescue service remains relevant within public services and to provide firefighters with a suitable and fair salary package. Hard working front line firefighters deserve better representation at a national level and have been poorly treated and kept in the dark for far too long. The FRSA will continue to fight for a fair deal for our members by lobbying central government in the coming weeks. If you support our view and are fed up with the status-quo join us today and help our cause.